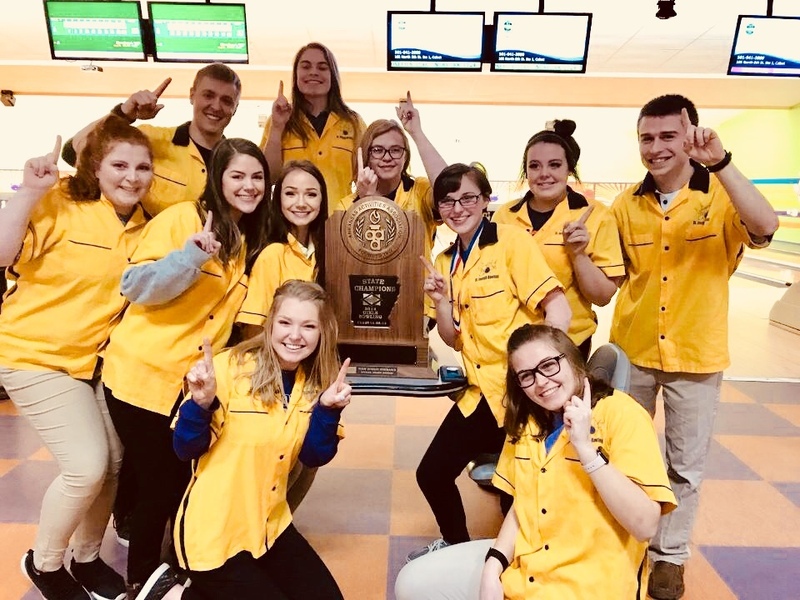 Our girls bowling team won the State 3A-2A-1A Bowling Tournament on February 14 at the Allfam Bowling & Entertainment Center in Cabot. They finished with a total score of 2866. Lillie Tuttle earned All-State and the Bronze Medal for finishing 3rd overall with three game total of 492.